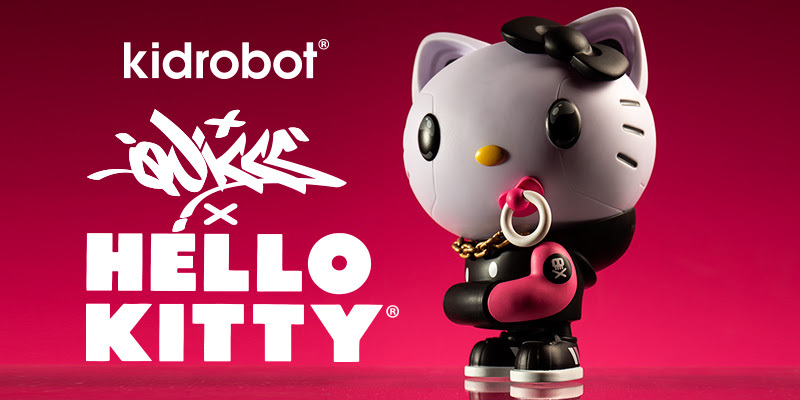 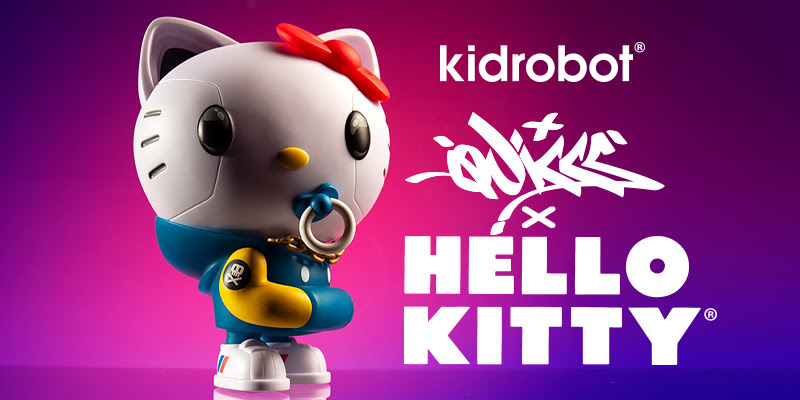 Two limited edition versions drop on Kidrobot.com today at 10am MST including the blue and yellow version (limited to 1,500 pieces worldwide) and the Kidrobot.com exclusive black and pink version (limited to 400 pieces). 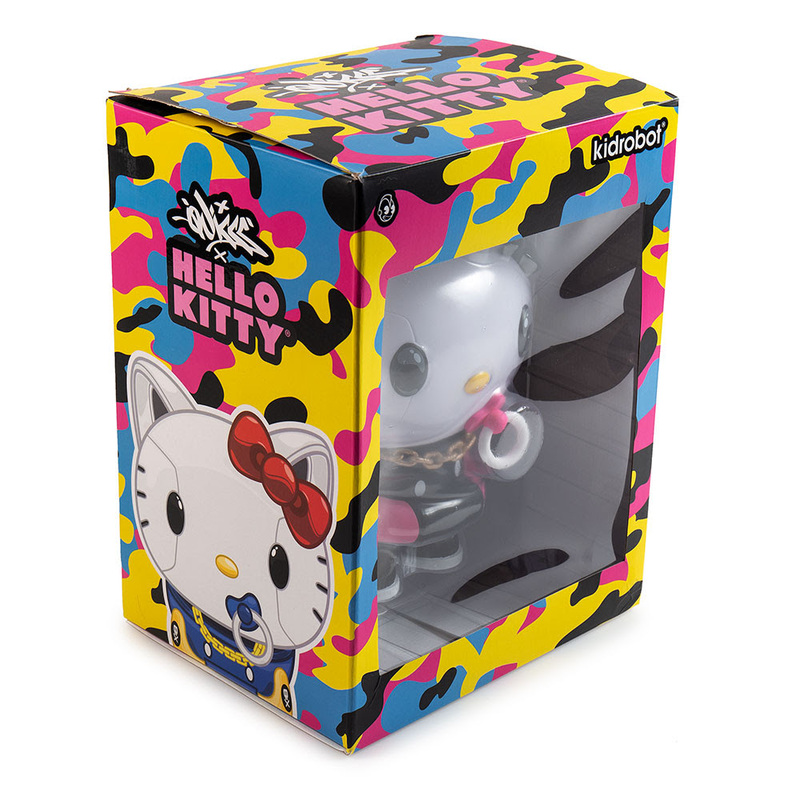 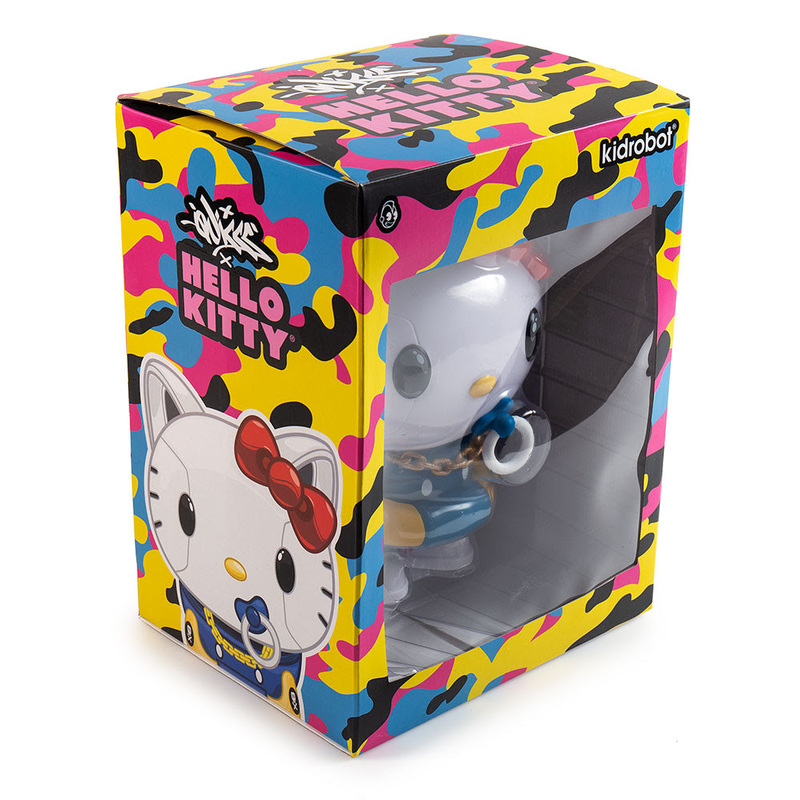 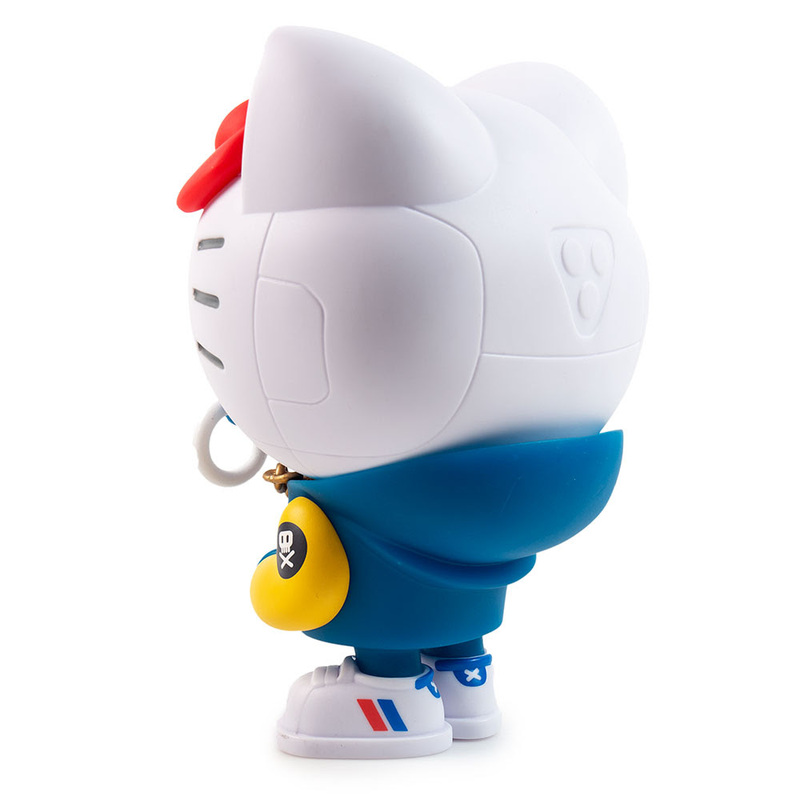 This collectible figure stands at 8” tall with Kidrobot’s signature high-quality vinyl and features Quicc’s BulletPunk design with modern streetwear, while keeping Hello Kitty’s iconic bow. 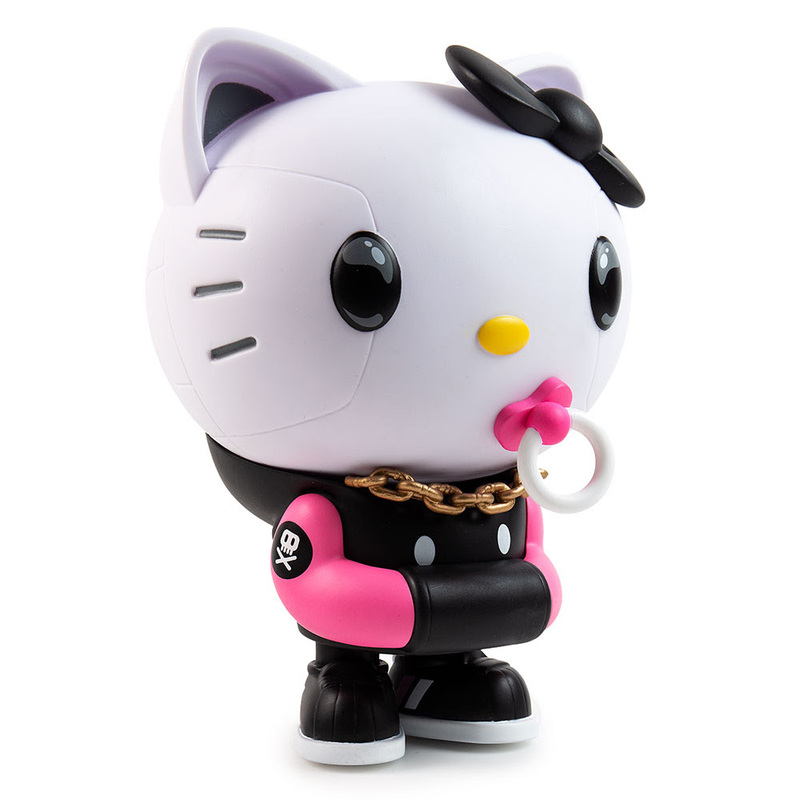 The concept first came to Quiccs when he imagined a girl living in a dystopian robot universe, unearthing artifacts from past civilizations. 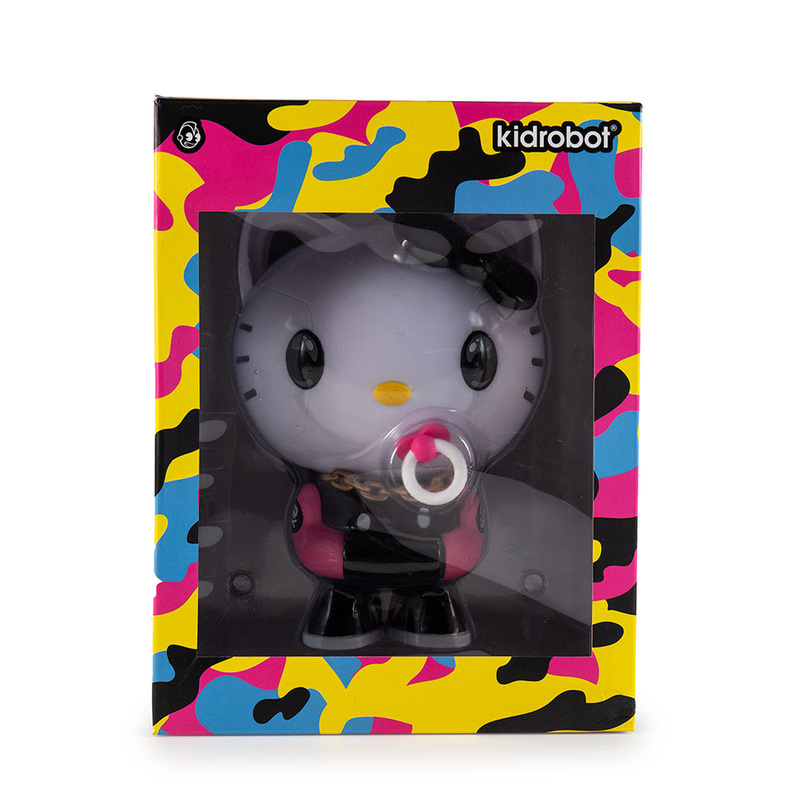 Get this collectible figure on Kidrobot.com in 30 minutes!